Over the weekend, ace comedian Kapil Sharma welcomed former co-star Chandan Prabhakar back to his show. 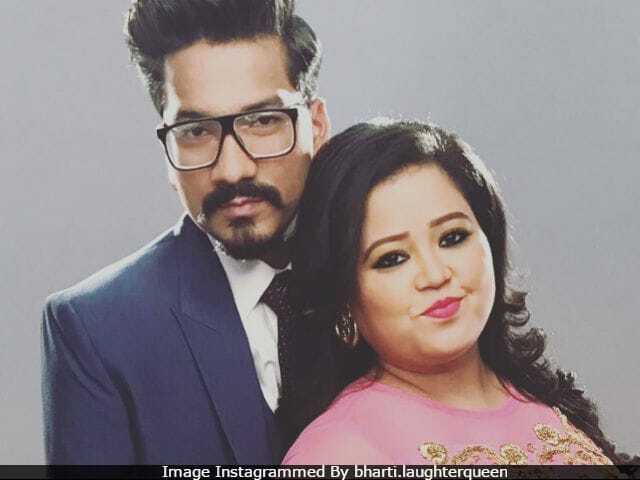 Now, Bharti Singh and her fiance Haarsh Limbachiyaa will also be a part of The Kapil Sharma Show, reports The Times Of India. Haarsh is a scriptwriter and has previously worked with Bharti and Kapil Sharma in Comedy Nights Bachao. "Bharti will start shooting for Kapil's show from today. Haarsh Limbachiyaa has been roped in to write the script for her," TOI quoted a source as saying. Interestingly, Bharti hasn't collaborated with Krushna Abhishek, who is all set to present his forthcoming show Comedy Company on the same channel. Both the actors are former co-stars of shows like Comedy Nights, Comedy Nights Bachao and Comedy Circus. Meanwhile, Chandan Prabhakar, who quit the show after Sunil Grover's alleged fight with Kapil Sharma, made a comeback after three months. Co-star Kiku Sharda welcomed him with a picture on social media. Chandan played Chandu Chaiwala on the show. The Kapil Sharma Show was one of the top-rated comedy shows before Sunil Grover's exit. The viewership dropped enormously later. Ali Asgar had also quit the show with Sunil Grover. "We worked there for the longest period of time, but after a certain point, there was a time when I felt that I should move from the show because I had creative differences with Kapil and his team. My character wasn't going anywhere and it was becoming stagnant and I felt there was no scope for creative improvement," he told news agency IANS. Upasana Singh and Supriya Shukla are also part of The Kapil Sharma Show. Upasana Singh, along with Raju Srivastava, was casted in the show after Sunil Grover, Ali Asgar and Chandan Prabhakar's exit. Earlier, it was reported that Krushna Abhishek's Comedy Company would replace Kapil Sharma's show. However, Krushna said that there is 'no rivalry' between them and Kapil Sharma's show won't be replaced. "There is no controversy in it, there is nothing to do with Kapil or his show. Kapil's show airs from 9 pm to 10 pm and I will do my show from 8 pm to 9 pm. There is no rivalry," Krushna told IANS. Sunil Grover will also make few guest appearances on Comedy Company.